Finding the best kitchen fitter in Bromley means finding a company with the skill and experience you need to entrust them to help transform your home. With AC Installations, you can rest assured than any home refurbishment work we undertake is second-to-none in terms of quality, price, and efficiency. 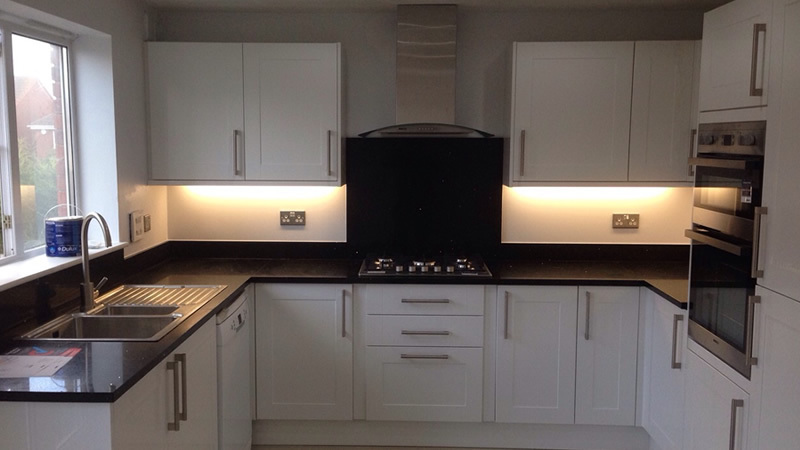 We take pride in being among the very best kitchen fitters in Bromley, working hard to ensure we uphold our high standards and help each and every client – regardless of size and budget – in achieving the property of their dreams. This extends to supplying the very best in materials. As such, we are experienced in working with kitchens from such renowned names as Homebase, MFI, B&Q, Wickes, and much more. Whatever style kitchen you hope to install, working with a kitchen fitter in Bromley is simple with AC Installations. Such is the dedication we have in meeting the expectations of our clients, we always recommend that, when looking for a kitchen fitter in Bromley, you carefully review the reputation of the company you choose. AC Installations is a fully registered member of such renowned trade websites as Check a Trade and My Builder, and encourage you to view the feedback we’ve received from past projects. We will even be happy to discuss any similar projects we’ve completed in order to help allay any worries you may have about having a new kitchen installed. To take advantage of the great service from AC Installations, and to benefit from one of the best kitchen fitters in Bromley, simply contact our friendly team on 07718 622940 today. We’ll happily review any proposed project and detail any associated costs, deadlines, and materials required to ensure the new kitchen you receive is among the very best available. AC Installations is a trading style of AC Kitchens & Bathrooms Ltd, a company registered in England & Wales with the registration number 9626308.